Trent Giambrone's night was one for the record books. 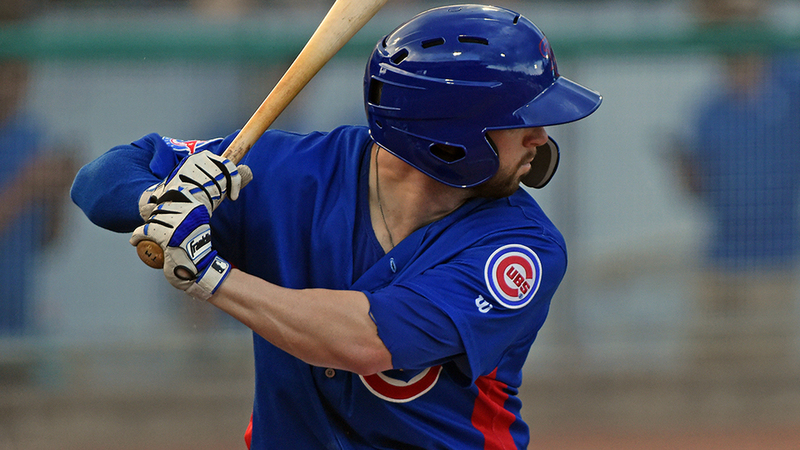 The Cubs second baseman capped his three-homer game with a grand slam in the ninth inning in Double-A Tennessee's 16-3 drubbing of Jackson at The Ballpark at Jackson. Giambrone went 4-for-5 and drove in a career-high nine runs, which tied the Southern League single-game RBI record with Tommie Reynolds (Birmingham, 1964); Mike Reinbach (Asheville, 1972); Jose Canseco (Huntsville, 1985); Butch Garcia (Charlotte, 1989) and Jake Marisnick (Jacksonville, 2013). It was the 14th first three-homer game in the Minor Leagues this season and the first in the Southern League. The 24-year-old cleared the fence in left field in the first inning on a 1-0 offering by Generals starter Ryan Atkinson, then did so again on a 2-0 pitch by the right-hander in the fifth. After being hit by a pitch by lefty Daniel Gibson in the seventh and smacking a two-RBI double to left in the eighth, Giambrone lifted a 2-2 grand slam to left off righty Kevin Ginkel in the ninth. "It's been my dream since I was a kid (to play baseball)," Giambrone told the Smokies website. "I always felt like I had it. Some people may disagree with that, but I've just taken it a day at a time and I feel like this is what God wants me to do so I'm going to do it." Giambrone previously had only posted a multi-homer game once in his three-year professional career -- on May 24 in Tennessee's 7-5 loss to Pensacola in seven innings. In just 76 games this season, the native of Metairie, Louisiana, has already surpassed a season high in homers with 14 and extra-base hits (31). He's batting .264 with a .818 OPS. One of Giambrone's assets has been his positional versatility. His ability to play all four infield positions enabled him to rocket up to Double-A after just two seasons. "It's part of the development," he told the Smokies' website. "I'll play wherever I can help. Whatever they want me to develop at each spot, I'll do every single day and get after it."